Birthday List 2010 | Oh Sarah O ! Hello! My birthday is coming up very shortly, so I thought I would share what I am wishing for this year. Right now, I am really into blazers, cardigans, peter pan collars, gingham, lace, maxi skirts and dresses, oxford shoes, Betsey Johnson accessories, and all things polka dot, striped, leopard and all shades of blue. Feel free to click on the collage for more details. 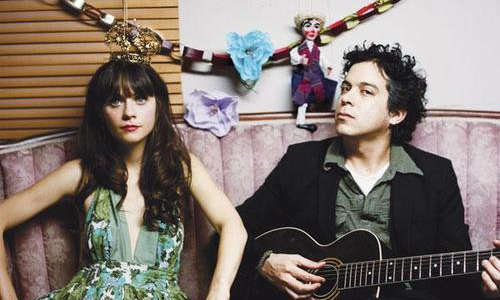 And I wouldn't object to a pair of She & Him Concert tickets for their show in KC this fall.